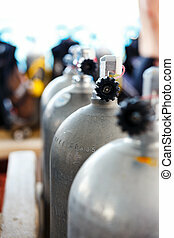 Air tanks. 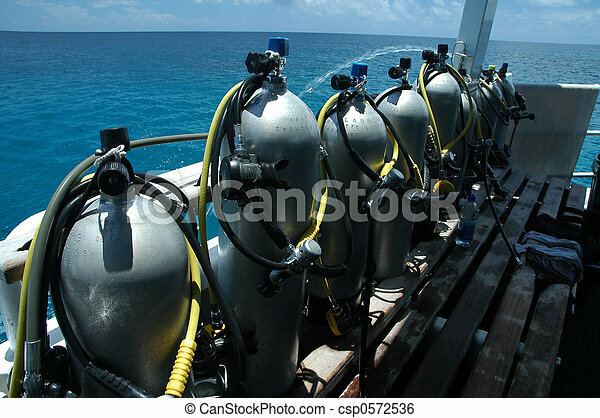 Several scuba cylinders on boat, ocean in background. 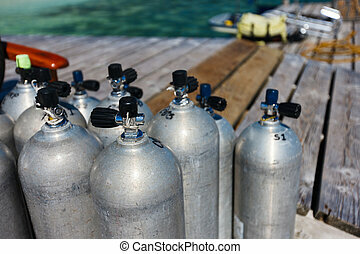 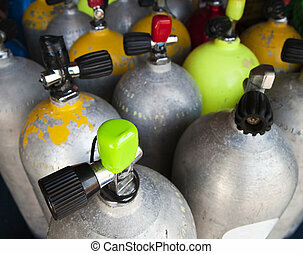 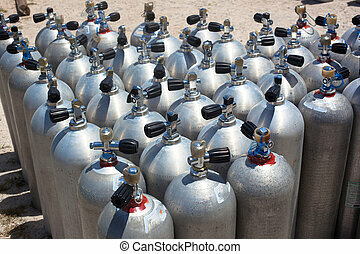 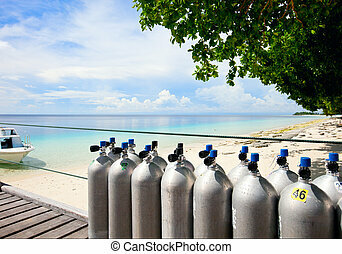 A set of air tanks that have been prepared for a diving expedition. 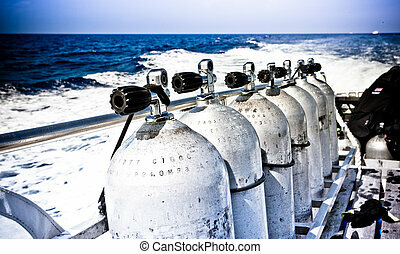 The focal point is on the green cap of the closest tank and the others recede into the background. 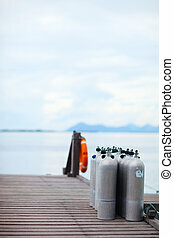 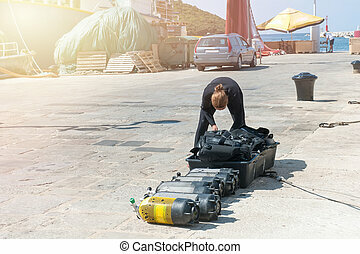 Diver checks air tanks for scuba diving on the pier. 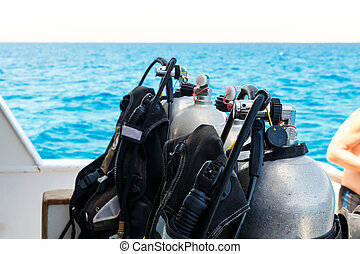 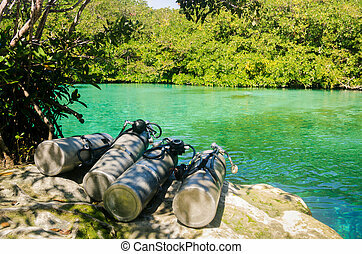 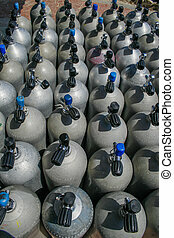 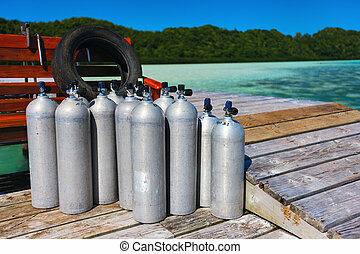 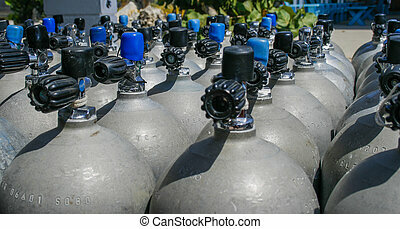 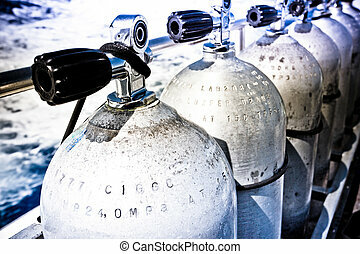 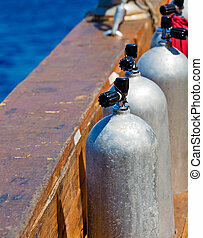 Full oxygen tanks and diving equipment ready to dive.